Thanks for the info, Eetu and Neil. Very nice of you to help me out. I guess I will have to make "White 11" for some other campaign. Maybe for the upcoiming"Battle for Europe" campaign. Anyway, I will have to go for Bar's 200th victory "red 23" aircraft. 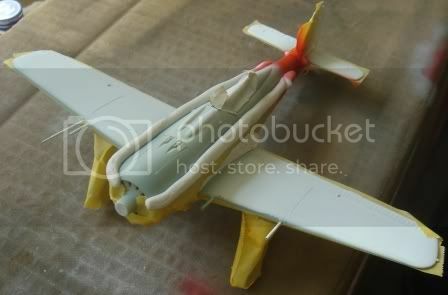 Here is my FW 190 A7 with basic construction finished. 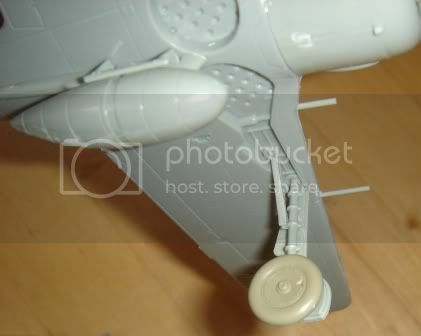 It is a very basic kit - especially the cockpit and the wheel bays. 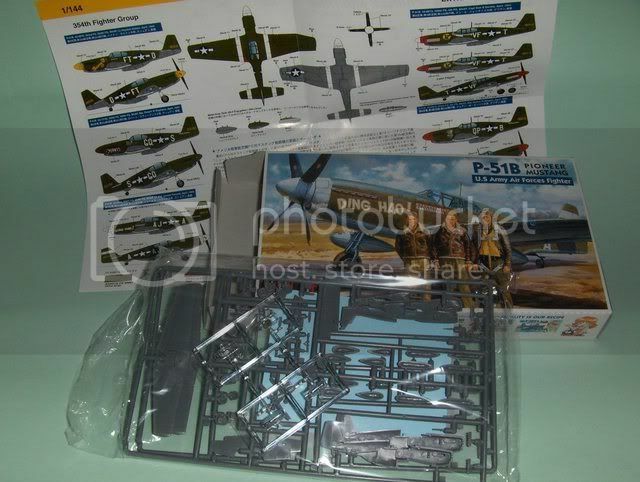 I can live with that as this kit is a nice warm up for Eduards FW 190s in my stash. The exterior of the kit is actually surprisingly good. 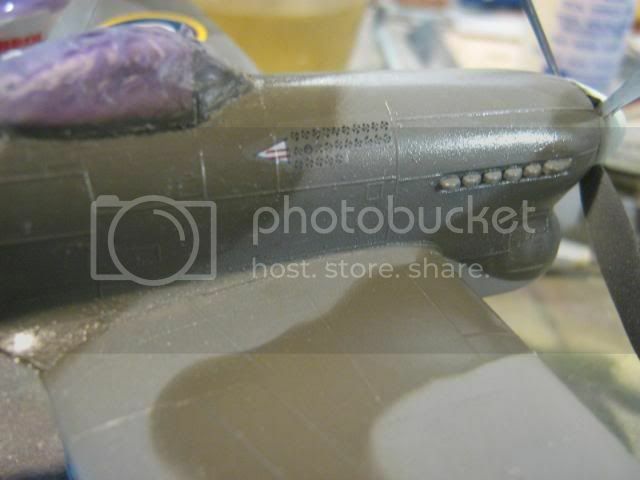 Very nice surfaces of the fuselage and wings with nice fine rivets. I have tried to show it in one of the below pictures, but might be difficult to see. 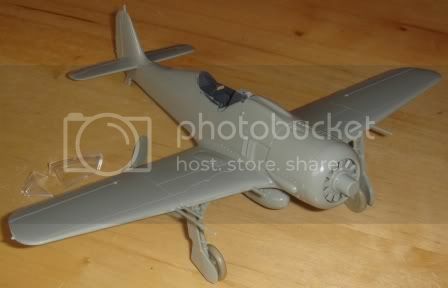 I have exchanged the wheels in the kit with a set of wheels from Eduard's FW 190. This is easy as there are four sets included in the kit. 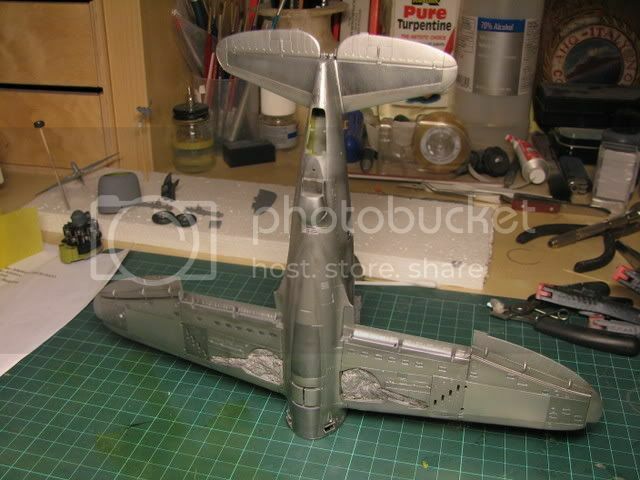 A little more progress over the weekend on my FW 190 A7. I still need to correct a few oversprays and some details I missed before painting, but progress is good. I will now for certain go for Heinz Bars "Red 23" or "Red 13". I have a good colour plate of "Red 13" so I used that for my painting. "Red 13" has almost no mottling on the sides of the fuselage and a very straight demarkation line on the sides of the fuselage. Therefore I went with a combination of masking tape and rolled modelling clay. Great progress all, and some very nice finished entries! 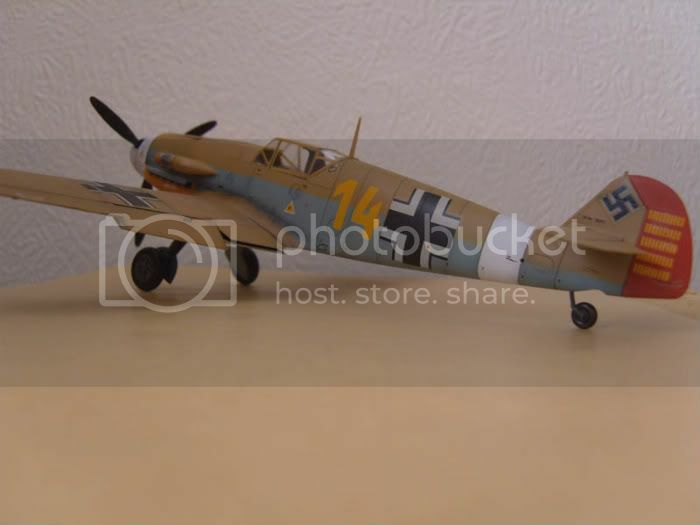 I suspect there are more out there somewhere since this aircraft is included both in the Fine Molds boxing and in Aeromaster's "Luftwaffe Top Guns" sheet but I have none in my quite substantial 109-library. What do you think, is this OK? MoM May is the goal! Quick check in from the road! All looking good, I wish I had got more done on my own entry! Magnus, thats perfectly acceptable sir! Upload your photos into the gallery if you havent already done so please. I'll do the finishing touches the next few evenings. Thanks to both you Nigel and the rest of you who have commented on the camo! Well its about time I started on my build but first its been great looking at all the beautiful finished aircraft for this campaign. 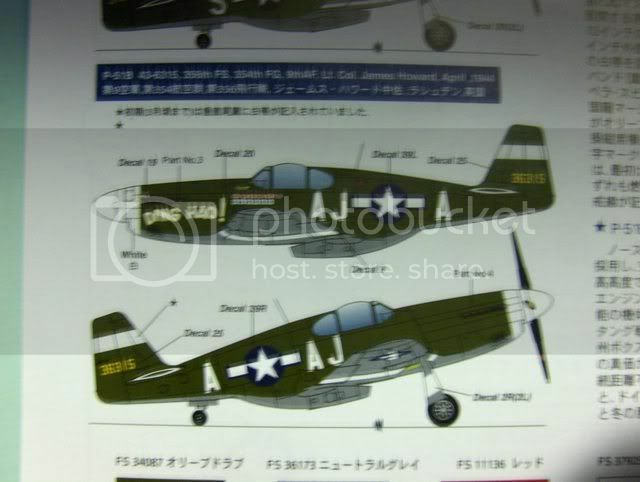 First will be a P-51B 'Ding Hao!' 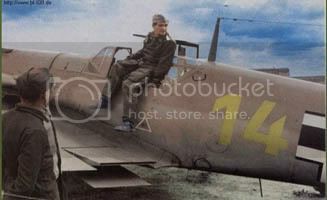 as flown by Lt. Col. James Howard of the 356FS, 354FG 9th AF. 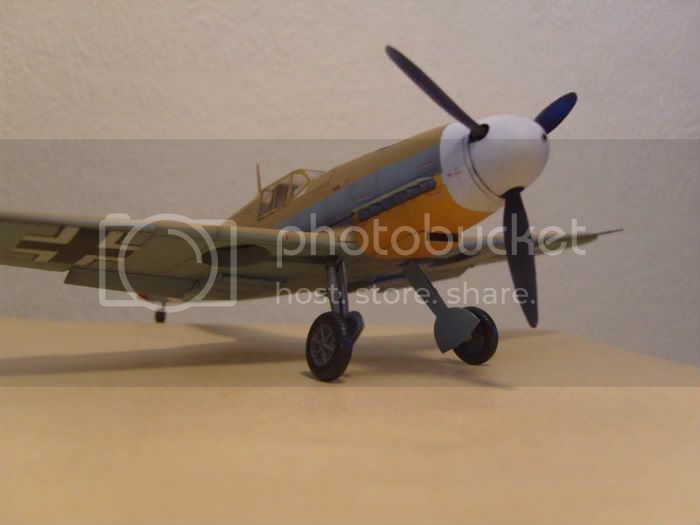 Second will be P-51B of Capt Don S. Gentile of 336FS, 4FG 8th AF. The kits are from Sweet in 1/144, pictures to follow. I just get a look from time to time. I have no callsign. But since my modeling time is quite short I prefer to spend it building rather than writing. Anyway Master194 is a fine forum. I will put the finishing touches to this one on Friday night, then on to the Phantom! See,,thats what happens when I reply to threads at half past five in the morning on way out to work !! Finally done. My third campaign, but the first finished in time. 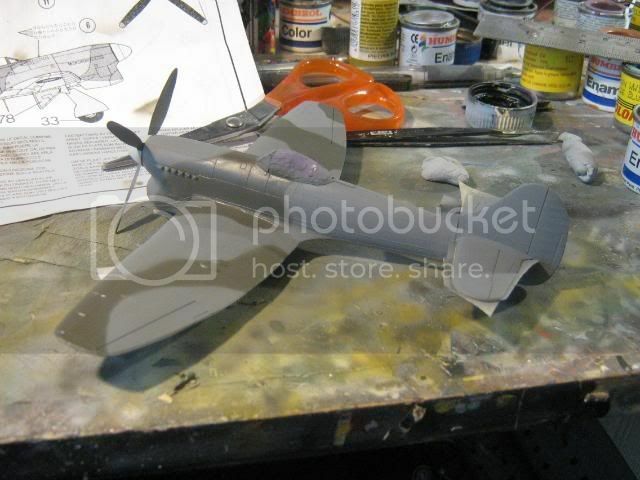 This is supposted to be Hans-Joachim Marseilles steed from february 1942 but I will not swere on the dates since there are so many references to certain paint schemes at certain times. I stick to the facts on these two pics. He had a dark rudder once and he had a tan and blue main paint scheme. And this is my interpretation of it. It's a lot of colours but I like it. If I had a Messerschmitt 3-wheel kabinenroller it would look just like this! There are more things to do, and also to better, but I'm rather satisfied with this and leave the lessons for next campaign. For instance "paint won't fill gaps", "brush painted canopies stick out from sprayed fuselages", "glue solves paint" and such things. VERY NICE! I like it all: The paint job, the colours, detail level! Thanks Magnus. Never thought of MoM really, but I guess I'll have to have a go at it. The coloured rudder certainly adds to the overall scheme. Im slowly making progress on my own entry. eek! 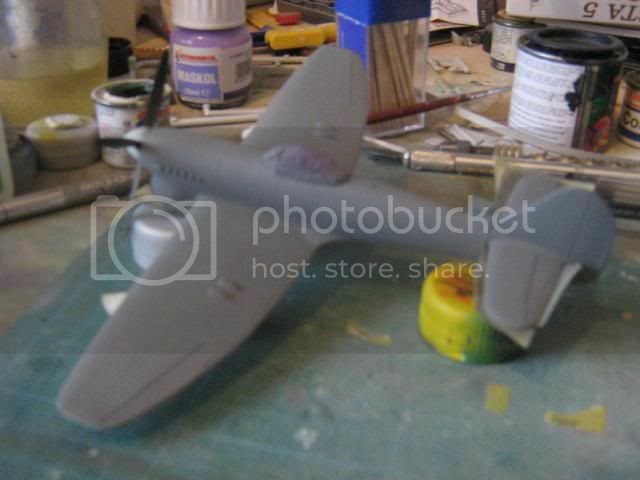 errrm......is a photo of the real aircraft definitely needed? anyhoo thanks to a totally lousy bank holiday weekend i've got my tempest almost done. 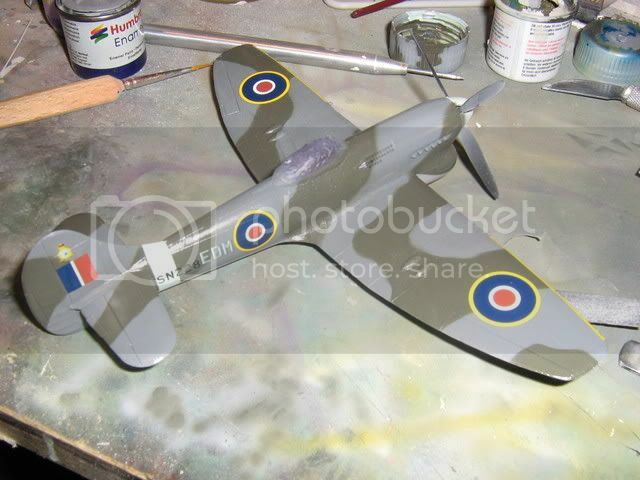 ipms member 10318, click the IPMS-UK link under the avatar to see! 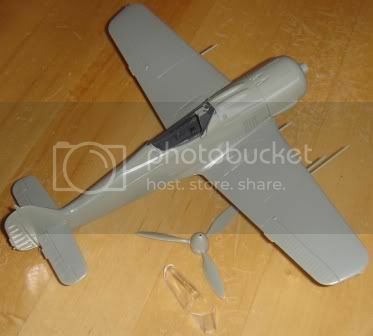 That Messerschmitt reminds me I have to fish out a photo of my MT-437. I think I saw one in a book. Not the most flattering, as it was of the plane after an emergency landing, but if I can't find anything else, it'll have to do. I've been making some progress on my entry, working on the cockpit mostly. 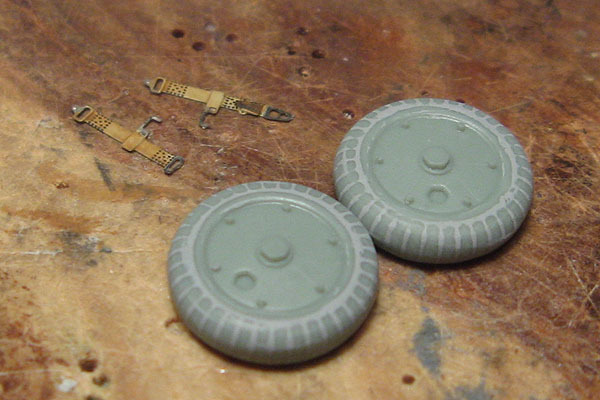 Most of the Finnish-operated G6s had smooth tires, and instead of going looking for aftermarket or swiping suitable wheels from the AML K4 in my stash, I chose to fill the tread pattern on the kit parts. Btw, notice the seatbelts. 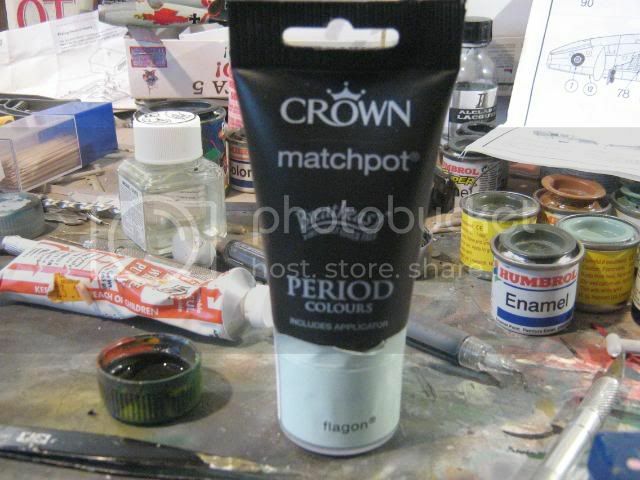 I applied a wash to them to add some variation to the monotonic prepainted shade. The rest I treated while still in the fret. There's not much detail to write home about in the wheel wells. Filling the open sides before joining the wing halves would have probably been a better option, but here we are. I guess I'll mix up some milliput, stuff it in there and smooth the sides. 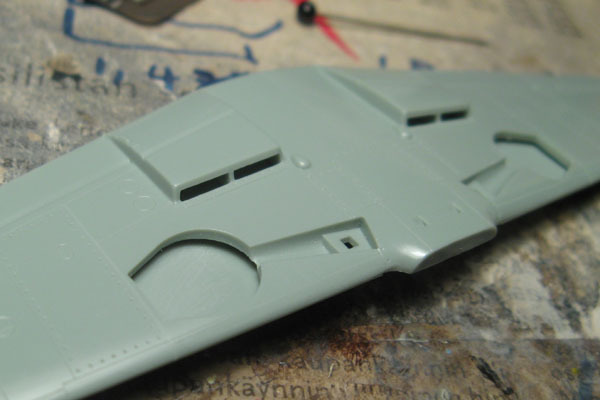 The wing roof detail looks better represented with some left-over PE. 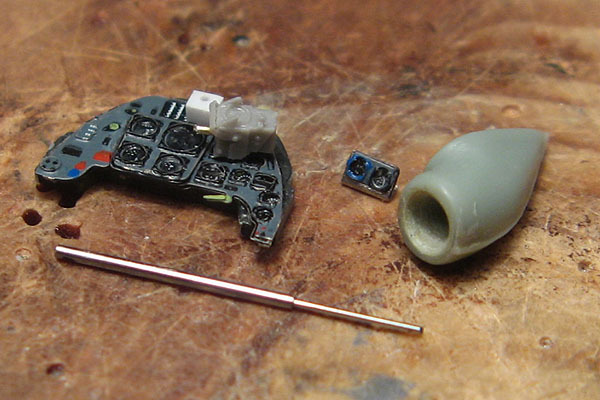 Moving to the cockpit components, there's some pretty tiny parts here. 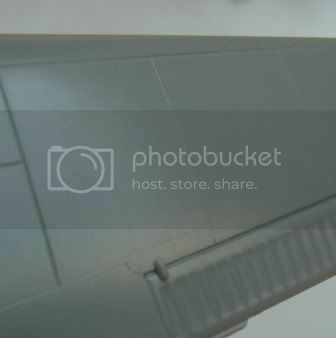 The gunsight mount on the instrument panel is simply a piece of styrene sheet; most likely not realistic, but more robust. I also pinned the joint with brass wire to ease assembly and painting of the gunsight. The instruments are still to receive a drop of varnish to represent the glass at this point. Fortunately, I didn't get any damage on the actual instrument sections of the parts. 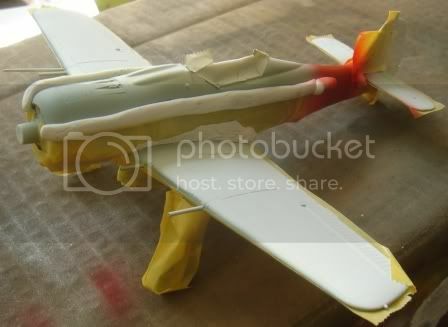 In the pic there's also my new pitot-tube, made from steel wire and a hypo needle, and the modified supercharger intake. Making the opening smaller was much trickier than I thought. "Just fill the part with milliput and drill a new hole"
In reality, it was the third time applying putty and drilling when I got it right. First I used a too large drill and ripped off the putty. Second time I accidentally drilled a second hole in the wrong place. The third time went well, although I didn't have the correct size drill bit for the opening, so I had to drill the hole with the largest I had (well, in that set I have, one heavy-duty drill sets has much too large bits on the other hand), then do the final shaping by hand with a knife and some sandpaper. 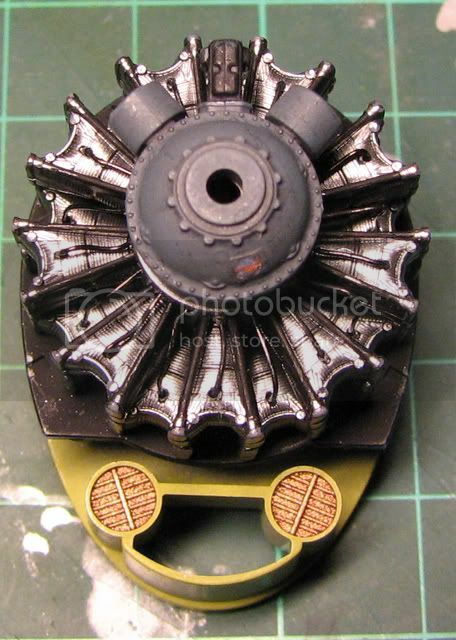 Xtracrylics' RLM66 is much too dark to go with Eduard's prepainted parts' shade, but I'll have to live with that. 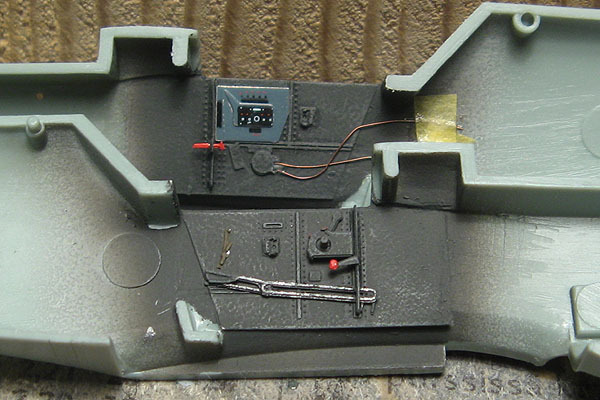 I did some drybrushing with a lighter shade after a black wash to tone down the paint, but it didn't help that much. Just casually passing by to tell all that I have finished ! 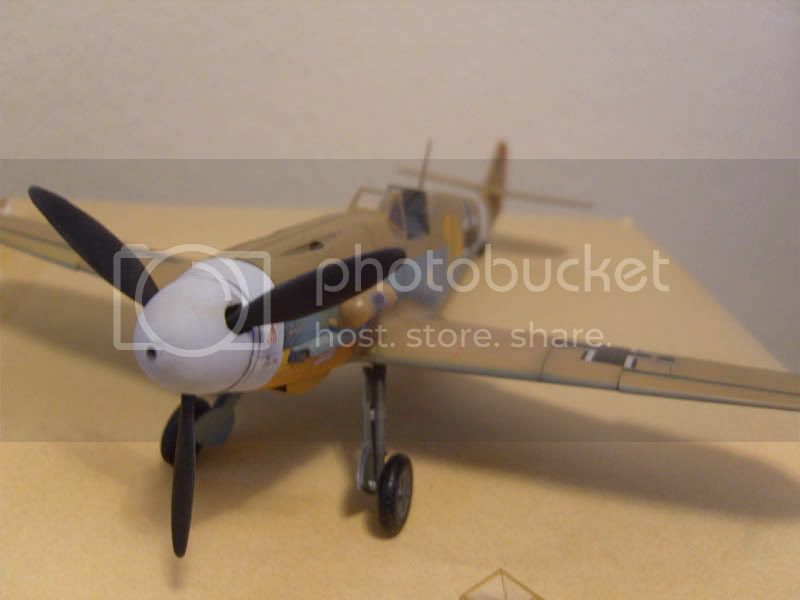 This was my first German aircraft in a long time, I have had great fun (that camo...) and will probably do some more in the near future. Thanks to all for comments and help! For those of you who haven't been there before, build blog is here! Phil: I might be able to help you with a photo of Evan Mackie's Tempest, PM me if you need one. Eetu: First rate detail work as usual! Great progress, Phil and Eetu. As already pointed out by Magnus the details are great. Excellent result, Magnus. 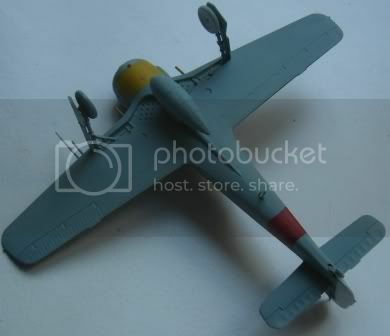 Especially since the camouflage is not exactly the easiest one for Luftwaffe aircraft. I think this will be the most spectacular Group Build Gallery of Aeroscale when I see all the fantastic models presented! 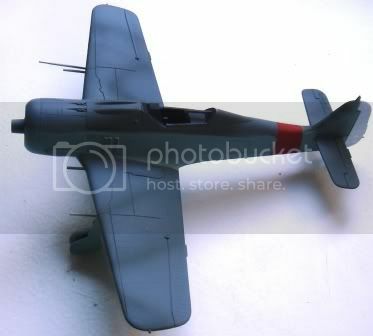 P-39N 'White 100' flown by the second-ranking allied ace, Col. Aleksandr Ivanovich Pokryshkin of 9 GIAD. Great entry, Alex. A striking scheme with all those stars on the fuselage. and it all goes slightly wrong! and you know what happens next! 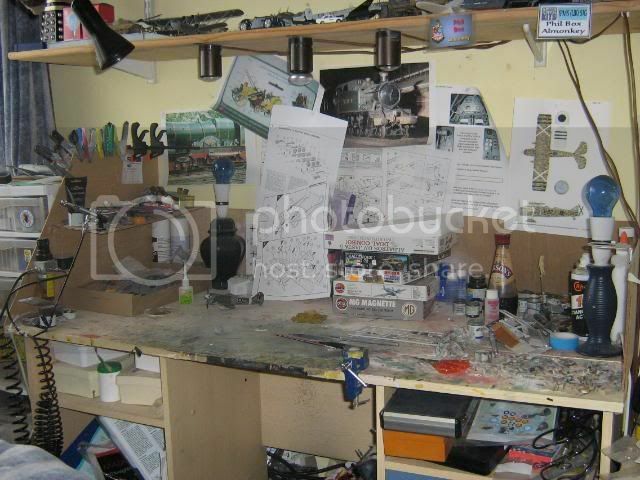 the thing is at the sides and back of my modelling desk i have anti pinged part shielding i heard it hit this and i reckon it must have bounced back onto the desk, but you know how this story ends! after 20 minutes of searching no joy, so i cut out another from plastic sheet, no real big problem. 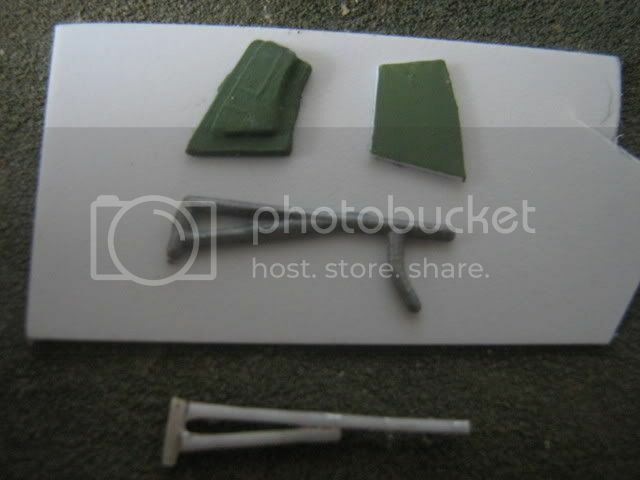 then i cut off the smaller actuators from the sprue, first one comes off no bother, next one pings. i saw it go across my desk, where it hit the instruction sheet that was partly on top of some stuff making it an excellent ski ramp! more searching. no joy. this part absolutly could not have got off my desk. Your building is coming on in leaps and bounds. Thanks Jean-Luc. The gallery is starting to look really good isnt it? OK first pictures, the kit and the first colour scheme. I'll be making a start tomorrow.